LEGS - why is this field so important? Using another electronic logbook product? We'll convert your data FREE! It doesn't seem like it was just the holiday season, it seems like it was long ago as we are well into 2011 already and hard at work on the new Android app, iPhone/iPad updates (2.0.1) and Logbook Pro PC 1.11.1 update. We just completed a significant update to the Airline Schedule Importer and published version 8.0.4 and continue to improve all of our products and services based on your outstanding feedback and suggestions. Happy New Year to all of you, our readers, customers, and friends. We hope you had a great holiday season and a very happy new year. We are so excited about what we have planned for 2011, it is going to be a very very busy year for us. It's coming up on one month since our release of the brand new Logbook Pro universal app that runs on your iPhone, iPod touch, and iPad and the v2 app is now FREE on the Apple App Store! It has been a HUGE hit and we cannot believe the number of users we have in only the first month. I'm so happy you all love this app with the new airline schedule importer and calendar integration, and of course all the other great features we put into this new version. We obviously did it right, the numbers are loud and clear, and we are thrilled to have created a great logbook solution for you to enjoy. Now we have our work cut out for us with the Android and Windows Phone 7 apps and can't wait to get those in your hands soon. You would think after 13 years of selling Logbook Pro and all version 1 PC edition updates continuing to be free updates we would have slowed down but from Thanksgiving through the end of the Year we again broke sales records and significantly! We continue to sell our leading aviation logbook products Logbook Pro, Logbook Pro PDA Companion, and Airline Pilot's Daily Aviation Logbook and our new subscriptions for Web Backup, Airline Schedule Importer, and Cloud Sync at record paces. Thank you for spreading the word and choosing Logbook Pro - the most accurate, trusted, and reliable logbook software on the market, bar none. Keep the feedback coming if you have suggestions for our future updates, products, and services. Join us on Facebook and take advantage of our social networking sales and announcements. Thank you for being a part of our team at NC Software. We look forward to serving you on this 14th year of providing you the best possible pilot logbook solutions. We are approaching the one month anniversary of our December 22nd release of Logbook Pro for iPhone, iPod touch, and iPad version 2. Version 1 iPhone/iPad app owners were issued a complimentary universal sync subscription ($34.99 value) through 12/31/2011. When you first initialize the Logbook Pro v2 app you get a free 30-day cloud sync subscription. That may be expiring soon for those that installed the v2 app near the release date so it's important to understand the two choices with your cloud sync subscription. The information is published on this web page but let's go over it below. With the version 2 app we made the app free and also allowed Logbook Pro PC edition (1.11.0 or later) sync with the My Sync portal in evaluation mode so you have no risk at all in checking out our software prior to entering into any financial commitment. Upgrading to newer versions of software can be an expensive process especially if a software vendor releases a new major version frequently, i.e. version 1, 2, 3, etc. Our policy is to keep all software updates within the same major version free hence why Logbook Pro PC edition version 1 hasn't changed the major version for over 13 years. We continue to provide you free updates for your Logbook Pro PC edition. Other vendors change their version number far too often and you end up spending hundreds on your software in no time. As the name implies, you are licensing a single device (hardware) to sync through the cloud sync system. In the About dialog of your app you'll find a Device ID in the bottom section. Please note this is NOT your Account ID. The Device ID is a unique ID that we use to authorize your device to sync. You'll need to enter the Device ID and then click Add-to-Cart when purchasing your subscription instantly online at our online store.. If you only own or intend to own one device then this is the plan for you. It is only $19.99 for an entire year which comes out to $1.67/month. The subscription cannot be transferred so if you are considering a new device or adding devices in the future you may want to consider the universal sync subscription instead. The universal sync subscription allows you to sync any device you own now or in the future for one affordable fee of $34.99/year. Whether you have one device or a dozen devices, one subscription is all you need. This subscription is not tied to any hardware but instead your personal NC Software account/login. You can use your Account ID/Username pair on any cloud sync supported device and sync using this subscription plan. To subscribe to a universal sync subscription now click here. Note: Importing airline schedules requires a separate subscription to use the airline schedule importer portal. This is not part of the cloud sync subscription. If you have any questions regarding our subscriptions feel free to contact us via the help desk. The LEGS column is an important field in Logbook Pro and should not be left blank. It defaults to 1 for you but it is not part of the required field set of Date, Type, Ident, Route, and Duration (or SIM) indicating a complete flight log entry. LEGS is another term for FLIGHTS. By entering one LEG you are telling Logbook Pro you have flown one FLIGHT (sim or actual). As Logbook Pro performs advanced data analysis such as using the Analyzer you'll see a total number of flights, this is also indicated in the summary bar at the bottom of the log area. The number of FLIGHTS is the SUM of the LEGS column. Logbook Pro's design goal is to log your flights rapidly and accurately. The last thing we want to do is be sitting behind a computer fiddling with some logbook software spending more time logging a flight than actually flying it. Logbook Pro doesn't require you to mess with airport databases and deal with labor intensive search or pick lists. Instead we use a free form route of flight entry field as shown above. You can log your entire day of flying in a single log entry saving paper when it comes time to print and provides a more concise logbook presentation. In order to get the proper number of FLIGHTS you need to enter the number of LEGS properly. LEGS will also be carried into your Landings column if you have AutoFill entering a landing for you. If you flew 4 LEGS you probably will be logging 4 LANDINGS unless of course you were not the pilot in a crewed flight performing the landing, etc. Logbook Pro is an accounting package for pilots. Just as businesses use accounting software for their finances, Logbook Pro is your accounting software for aviation. It is important to keep the numbers properly so be sure to enter the LEGS column so your flight summaries are correct. If you haven't discovered the Analyzer yet I highly recommend tinkering with it. It is a great system to view your data summaries down to the Aircraft Ident flown. With our recent record sales and conversions from other logbook software products many of you are new to Logbook Pro and many of you have been with us for 13+ years as well. Logbook Pro is designed to be very simple yet pack some great features for those that really want to get more out of the product. No one likes reading documentation, although we do provide complete documentation for those that do want to read through it and really learn the product. Watching a video that shows the features to you in action is the best way to learn and will give you that nudge to use the features we put in place to really make logging fun and quick such as double-click auto-entry, AutoFill, data analysis with the Analyzer, creating reports, viewing and interacting with charts, and more. We like training as much as we like creating so we've built an extensive video library for both the PC edition and the iPhone/iPad app. In fact you'll also find videos in our newsletters that build upon the video tutorials already in place so feel free to browse or search our newsletter archive. 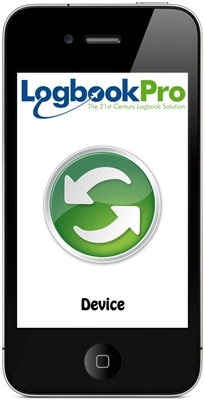 Did you know we do logbook conversions from other electronic software products -- FREE? We will gladly convert your "other" electronic software logbook for you at no charge. This is a FREE one-time service for new customers. Simply send us a zip file of your current logbook data and we'll verify we can convert it, if so, we'll ask for your Logbook Pro PC edition registration code to proceed with the conversion and we'll complete the conversion for you. We welcome you to Logbook Pro and hope you enjoy our wide range of software for general aviation and airline pilots, our Cirrus Elite binders, and other add-ons to make flight logging fun and useful. Logbook Pro is the leader for ease of use, quality and support, data analysis and reporting, and free upgrades for over 12 years now! It's time you made the move. We have a Knowledgebase of conversions which is only a list of our most common conversions. Contact us even if you're product is not listed and we'll gladly see if we can convert your data. Did you know Logbook Pro has an Import Wizard that can import just about any comma (CSV) or TAB delimited file? If your logbook product has an export feature, most likely you can make the transition yourself. 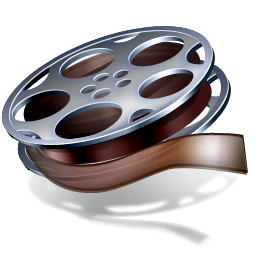 Click here for details on the Import Wizard which is functional even in the Eval of Logbook Pro. Using a Mac? No problem. Click here for details on how to run Logbook Pro on a Mac. Click here to download updates as required. To opt out of future mailings click here or manage your newsletter subscriptions online by clicking here. You can mail unsubscribe requests to: NC Software, Inc., 2711 Centerville Rd, PMB 5115, Suite 120, Wilmington, DE 19808.